At Comemos Deli Cafe we are all about providing high quality freshly cooked food for fantastic breakfasts and wonderful lunches. We also serve teas, coffees and delicious cakes in a relaxed and friendly environment. 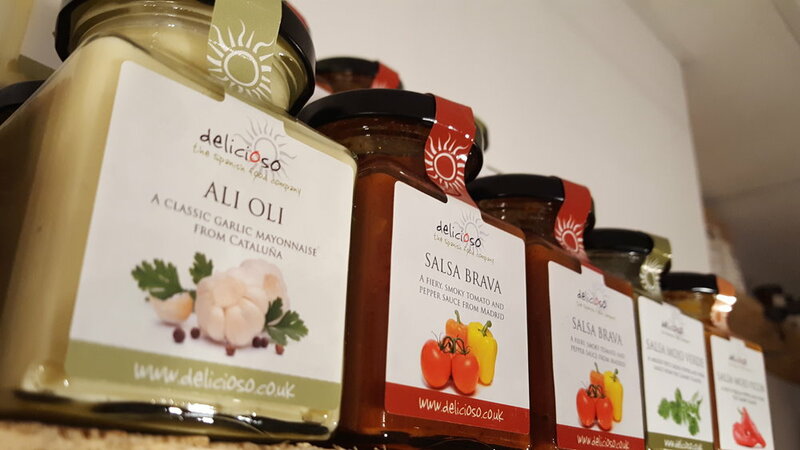 As well as wonderful food and drink to enjoy on the premises we also have an excellent selection of local and Spanish produce to purchase to enjoy at home or make fantastic gifts. We have wifi available and usb plug sockets which make it an ideal environment to come along and write a novel, a screenplay, work from home or simply connect with friends. At Comemos we very proud of our menu. We serve a fabulous selection of breakfasts including the popular Avocado Smash , Smoothie Bowls as well as Pastries & Croissants. For lunch we have a selection of toasties, sharing platters and amazing dipping cheeses. Check out the menu for details. We have some fabulous Spanish products for sale: wonderful cheeses like the famous Manchego and Tetilla, cold meats like Jamon Serrano and Chorizo as well as Anchovies and Octopus all available from our deli counter. We also have sauces and spices from all over Spain. We have sourced all of our retail products from local suppliers. It is really important for us to support local businesses and not only that, the products are amazing too! Our tea supplier is based in Hythe, our coffees come from Ashford and Canterbury and our Jams & Pickles from Wye. Come and visit us to see the amazing array of products we have on offer. Spanish love food - if they're not cooking or eating they're talking about food! At Comemos we want to share this passion for food with you. We have a fabulous selection of teas from Debonair tea in Hythe including English Breakfast or Builders Brew to start your day, fragrant Jasmine Pearls, Orange & Raspberry fruit Tea as well a number of other delicious flavours. All of which are available in loose leaf to enjoy on the premises and in pyramid bags to buy. If you are a coffee drinker than we have an equally impressive coffee menu. Our coffees are based on the Spanish varieties. Start the day with a wonderful Cafe con Leche ( a milky white coffee) and for those of you who can't resist a Cappuchino we can always add extra froth and a sprinkling of chocolate! If you are a latte fan then you will love our Cafe Manchada. For those of you who prefer a strong one try a single or double espresso. If you have a sweet tooth then the Cafe Bon Bon is perfect, a wonderful espresso sitting atop condensed milk - a Canarian speciality. All our teas and coffees are available to take away to enjoy on the go. We are a Licensed Premises and have a selection of Wines and Beers (all Spanish of course) to have with your food. 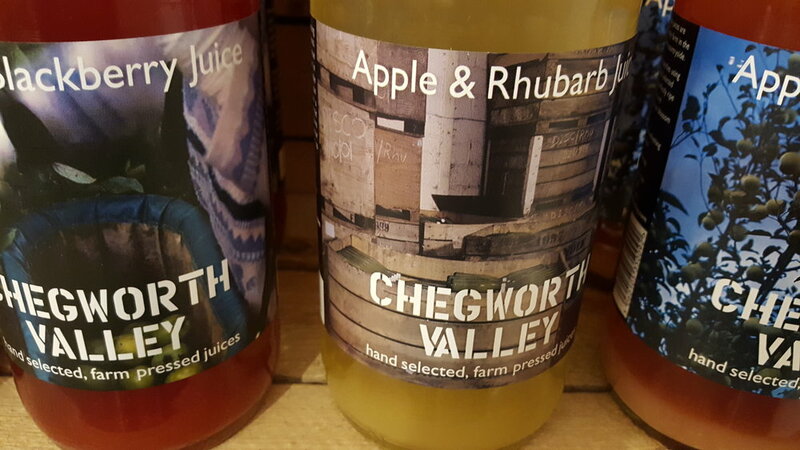 Our juices come from Chegworth Valley near Maidstone and are available in 250ml bottles or 1 litre bottles. Fabulous varieties such as Apple & Pear and Apple & Raspberry. Even our water is local coming from the Kingsdown Spring near Dover. Of course we also stock coke, Diet coke and San Pellegrino! We take great pride in our cakes, all of which are baked from home. We like to change our selection of cakes regularly so that theres always something new to try. Our range includes some traditional favourites and also some new recipes that we've created. We have wonderful Spanish Products to take home and enjoy. We also have lots of fabulous Kent Based Suppliers with an array of amazing local produce. See below for some of them. I was born into a large family in Granada, Andalucia, Spain. As you can imagine in a family of 10 children food played an important part in my life from early on. I moved to Menorca at the age of 15 and began my career in hospitality. I moved to the UK in 1989 and have worked in hotels, restaurants, nightclubs, pubs and bars. I was the landlord at The Blue Anchor in Brabourne Lees, Ashford, Kent where I brought Tapas to the area. I have a real passion for food and of course Spanish food in particular. Comemos Deli Cafe is about sharing this passion for delicious food as well as celebrating the wonderful products from the County of Kent that I am now very proud to call my home. Behind every great front man is a team of hard working co-workers who support, organise and work alongside. You know who you are!! Bios to follow when we can persuade them to have their pictures taken.